Antonella Sudasassi’s El despertar de las hormigas receives Best Costa Rican Feature Film Award. Jayro Bustamente’s Temblores wins Best Central American Feature Film. The Best National Short Film Award went to Milena Salazar’s Estelas. Nacho Rodríguez’s Callos and Galatea al infinito, directed by Mariangela Pluchino, Julia Maura, Ambra Reijnen, María Chatzi and Fátima Flores, were awarded with the Special Jury Awards. El baile de la gacela, Yo no me llamo Rubén Blades and La bohemia were the audience’s favourites for each category in the competition. Industria CRFIC awarded films Ceniza negra and El silencio del topo, as well as the film project Lugares vacíos. The 7th Edition of the Costa Rica International Film Festival (7CRFIC) announced on Saturday, April 6th, the winning films for the Central American Feature Film Competition, the Costa Rican Feature Film Competition, the National Short Film Competition, and the Industria section. The closing ceremony of the 7CRFIC, an event carried out by the Costa Rican Film Production Center (Centro de Cine) and the Ministry of Culture and Youth (MCJ), was held in the Magaly Cinema in San José, where the three Audience Awards were also delivered to films presented in the Festival’s competitions. The Costa Rican Feature Film Award went to Antonella Sudasassi’s debut film, El despertar de las hormigas (Costa Rica, 2019), the Central American Feature Film Award to director Jayro Bustamante’s Temblores (Guatemala, 2018), and the National Short Film Award to Milena Salazar’s Estelas (Costa Rica- Canada, 2019). This years, the jury decided to deliver a Special Prize to feature film Callos (Costa Rica, 2018) directed by Nacho Rodríguez and to the short film Galatea al infinito (Costa Rica- Spain, 2017) by filmmakers Mariangela Pluchino, Julia Maura, Ambra Reijnen, María Chatzi and Fátima Flores. Another Special Mention was awarded to feature film La batalla del volcán (El Salvador- Mexico, 2018) from director Julio López. As for the Audience Awards, the favorite films were Iván Porras' El baile de la Gacela (Costa Rica-Mexico, 2018), which was participating in the Costa Rican Feature Film Competition; the documentary Yo no me llamo Rubén Blades (Panamá-Argentina-Colombia, 2018) directed by Abner Benaim, from the Central American Feature Film Competition; and La Bohemia (Costa Rica, 2018), by filmmaker Natalia Solórzano, from the National Short Film Competition. Ana Xóchtil Alarcón, director of Centro de Cine, said that “these awards are a good reflection of the current state of Costa Rican and Central American film and audiovisual. Wonderful works made by young people who take risks with their creations and stories. An increasing number of women express themselves through fresh, novel films with their perspective and talent. The films that are most loved by people are those that embrace cinema’s inherent capacity to represent reality, and with it, to represent ourselves”. In respect to the awarded prizes, the 7CRFIC’s artistic director, Raciel Del Toro, said that “in every group of awarded films there are expected results as well as surprises. In this edition of the CRFIC, I am pleased about the fact that the awards are a reflection of our programmatic goals, such as the recognition of women filmmakers, the placing in dialogue of different representation modalities, and not being on the margins of our countries’ urgent, surrounding realities. As for me, I must thank and recognize every competitive section’s jury for their professionalism, sensitivity, and ability to let themselves be surprised”. 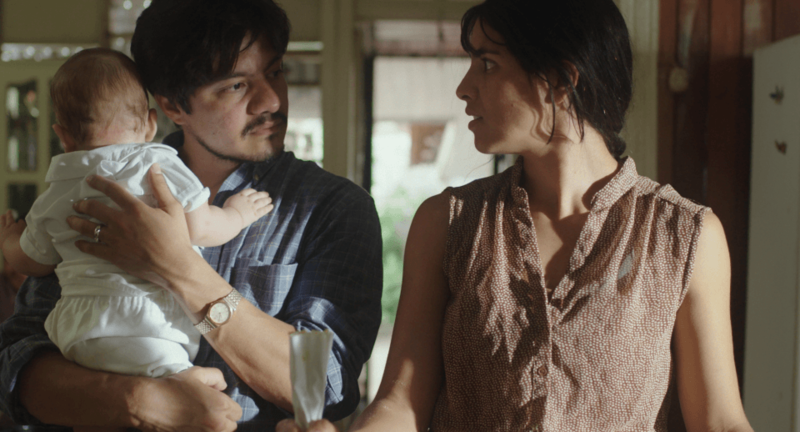 Ceniza negra, by director Sofía Quirós, produced by filmmaker Mariana Murillo, was awarded in the Costa Rican Film in Post-production Category. El silencio del topo, a Guatemalan feature-length documentary by director Anais Taracena, produced by Rafael González, was awarded in the Central American Film in Post-production Category. Polvo de gallo, Salvadorian film by director and producer Julio López, took the Say the Same Subtitles Prize. 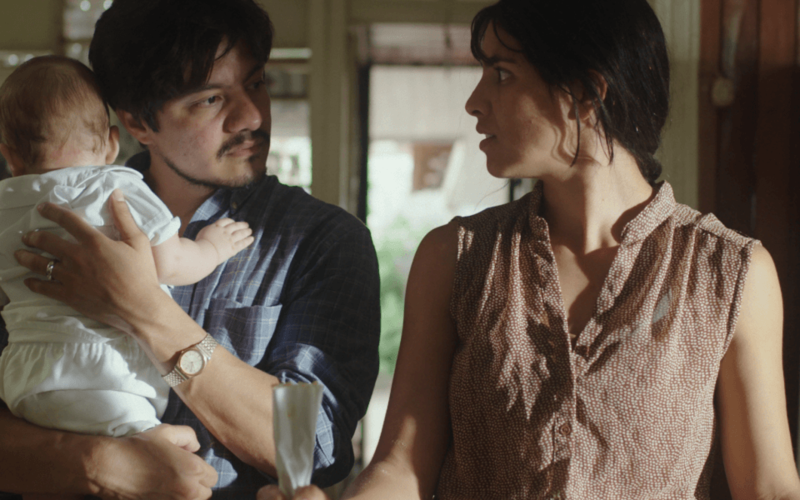 Costa Rican feature film Río Sucio, directed by Gustavo Fallas and produced by Ruth Sibaja, took the Centra Post Prize (complete image and sound post-production). In Industria CRFIC’s Project Presentation Forum Category, the winning film project was Lugares vacíos by director Zenén Vargas and producer Santiago Durán, Costa Rica. Finally, director Kim Torres’ project Si no ardemos cómo iluminar la noche (produced by Alejandra Vargas, Costa Rica) took the Cine House Prize, which consists in a two-day loan of complete camera and lightning equipment. Best national feature film: El despertar de las hormigas (Costa Rica- Spain, 2018), Antonella Sudasassi. Best Central American feature film: Temblores (Guatemala- France, 2018), Jayro Bustamante. Best national short film: Estelas (Costa Rica-Canada), Milena Salazar. Costa Rican feature film competition: Callos (Costa Rica, 2018), Nacho Rodríguez. National short film competition: Galatea al infinito (Costa Rica- Spain, 2017), Mariangela Pluchino, Julia Maura, Ambra Reijnen, María Chatzi and Fátima Flores. Central American feature film competition: La batalla del volcán (El Salvador- Mexico, 2018), Julio López. Central American feature film competition: Yo no me llamo Rubén Blades (Panama, Argentina-Colombia, 2018), Abner Benaim. Costa Rican feature film competition: El baile de la Gacela (Costa Rica-Mexico, 2018), Iván Porras. National short film competition: La Bohemia (Costa Rica, 2018), Natalia Solórzano. Ceniza negra (Costa Rica-Argentina-Chile-France); direction: Sofía Quirós; production: Mariana Murillo. El silencio del topo (Guatemala-Mexico); direction: Anais Taracena; production: Rafael González. Polvo de gallo (El Salvador-Mexico); direction and production: Julio López. Río Sucio (Costa Rica-Colombia); direction: Gustavo Fallas; production: Ruth Sibaja. Lugares vacíos (Costa Rica); direction: Zenén Vargas; production: Santiago Durán. Si no ardemos cómo iluminar la noche (Costa Rica); direction: Kim Torres; production: Alejandra Vargas.